Some countries can ban (and have banned) a number of social networking sites several times within in a couple of years for different reasons. Some of them get unblocked a few days later, some don't. Is the data accurate ? It shows that blogger is banned in India! Blogspot was banned back in 2006 because they wanted to stop terrorists from using the blogs to communicate with each other. LOL, and apparently every site listed is banned here in the US. 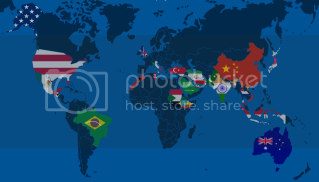 No, if you click any country and click the links, they all show banned! Last edited by LeeW; 1st July 2010 at 13:07. So as with everything on the net sometimes it can`t be taken at face value. Thanks for clarifying. I didn't click the more info.I just selected each and went with that.